Jewelry Cleaner Fluid Poisoning is the accidental or intentional intake of jewelry cleaner fluid products. What is Jewelry Cleaner Fluid Poisoning? Jewelry Cleaner Fluid Poisoning may be referred to as the Jewelry Cleaner Fluid Toxicity. What are the Causes of Jewelry Cleaner Fluid Poisoning? What are the Signs and Symptoms of Jewelry Cleaner Fluid Poisoning? How is First Aid administered for Jewelry Cleaner Fluid Poisoning? Who should administer First Aid for Jewelry Cleaner Fluid Poisoning? 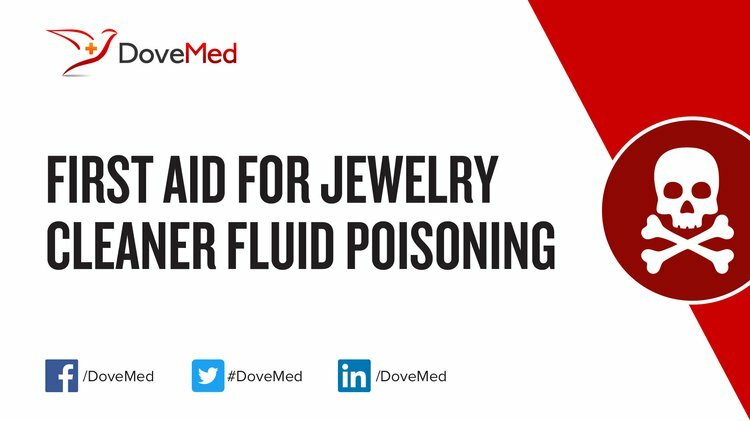 First aid for Jewelry Cleaner Fluid Poisoning is administered by healthcare professionals. What is the Prognosis of Jewelry Cleaner Fluid Poisoning? How can Jewelry Cleaner Fluid Poisoning be Prevented? W Borron, S., & J Baud, F. (2012). Antidotes for acute cyanide poisoning. Current pharmaceutical biotechnology, 13(10), 1940-1948. Brunzel, N. A. (2016). Fundamentals of Urine and Body Fluid Analysis-E-Book. Elsevier Health Sciences. Becker, M., Edwards, S., & Massey, R. I. (2010). Toxic chemicals in toys and children’s products: limitations of current responses and recommendations for government and industry. Williams, H., Moyns, E., Bateman, D. N., Thomas, S. H., Thompson, J. P., & Vale, J. A. (2012). Hazard of household cleaning products: a study undertaken by the UK National Poisons Information Service. Clinical toxicology, 50(8), 770-775. Krasowski, M. D., Wilcoxon, R. M., & Miron, J. (2012). A retrospective analysis of glycol and toxic alcohol ingestion: utility of anion and osmolal gaps. BMC clinical pathology, 12(1), 1. GALLON, M. G. C. C. L. (2012). Directions for use. Clark, D., Murray, D. B., & Ray, D. (2011). Epidemiology and outcomes of patients admitted to critical care after self-poisoning. Journal of the Intensive Care Society, 12(4), 268-273.